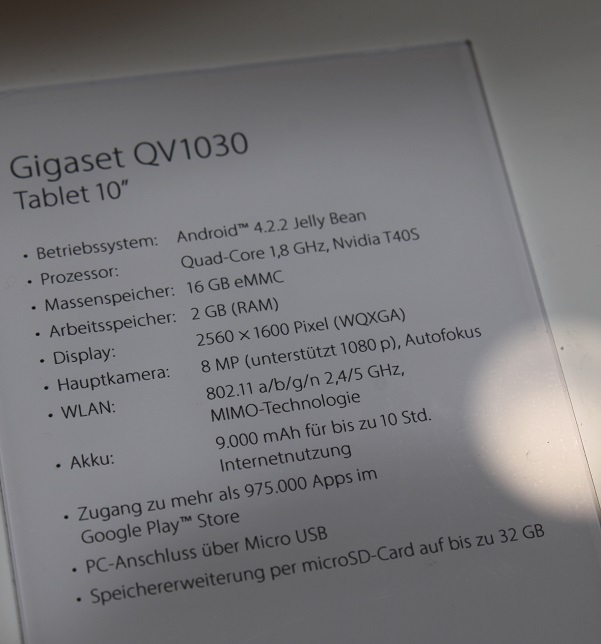 The QV1030 is the flagship of gigasets new line of tablets. 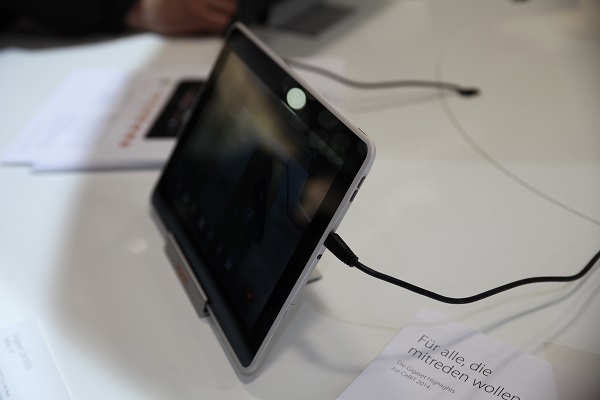 It features a 1.8GHz quad-core Tegra 4 processor, a 2,560 x 1,600 display, 16GB of expandable storage and both 8-megapixel rear as well as 1.2-megapixel front cameras. 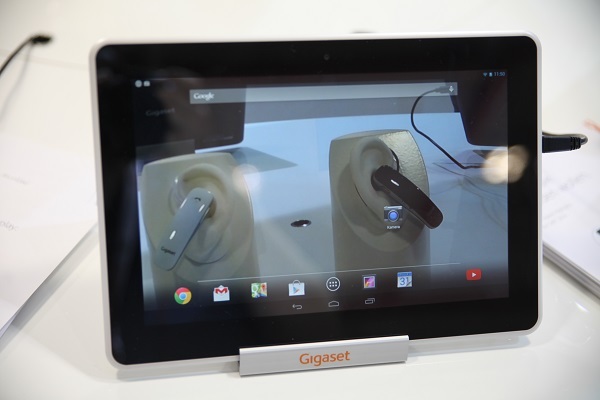 The tablet runs Android 4.2.2, and it runs very smoothly. The QV1030 has a battery time of 10 hours of usage and up to 620 hours of standby time. Which is pretty impressive, although battery time is greatly reduced if you run it at full performance. 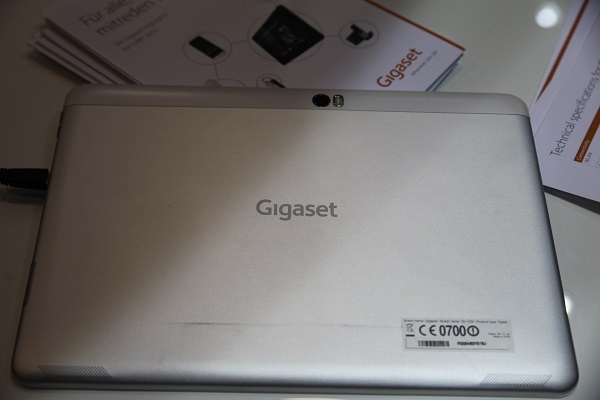 Due to a system setting in power management, the Gigaset QV1030 Tablet runs on delivery at half clock rate. To achieve the maximum clock rate at a reduced battery life, please change manually the default system setting from “balanced” to “performance”. It seems like a pretty decent tablet. The aluminum back looks good and it feels good in your hand as well. It goes for €369 ($502) and you can get it here. Previous: Jimmy Wales, Founder of Wikipedia "I want to buy Snowden a beer"
Looks a boat-load better than any iPad… I have a mini, and it crashes all the time, doesn’t load full web pages, deletes content, and other problems. I really wish I went Android.